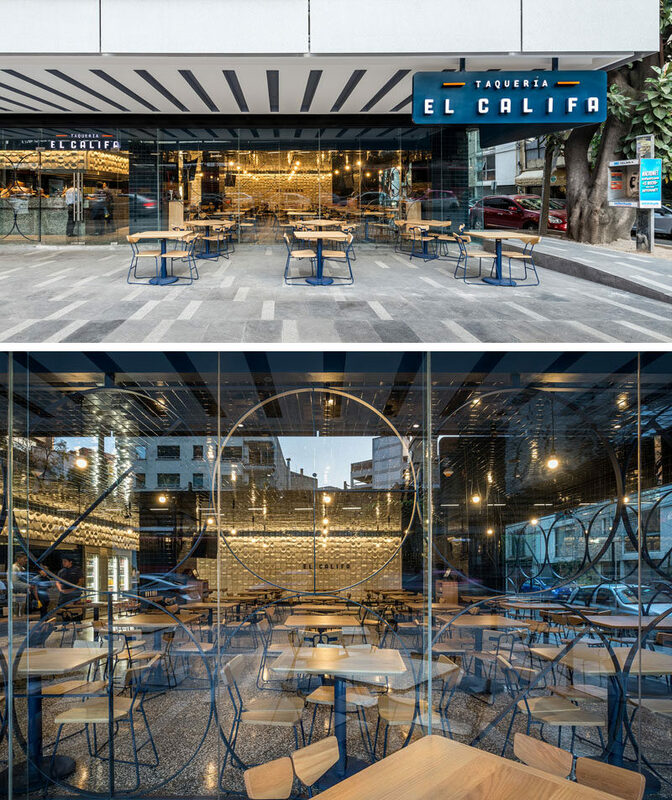 Esrawe Studio have recently completed the interior design and branding for El Califa Taqueria, a modern restaurant in Mexico City. 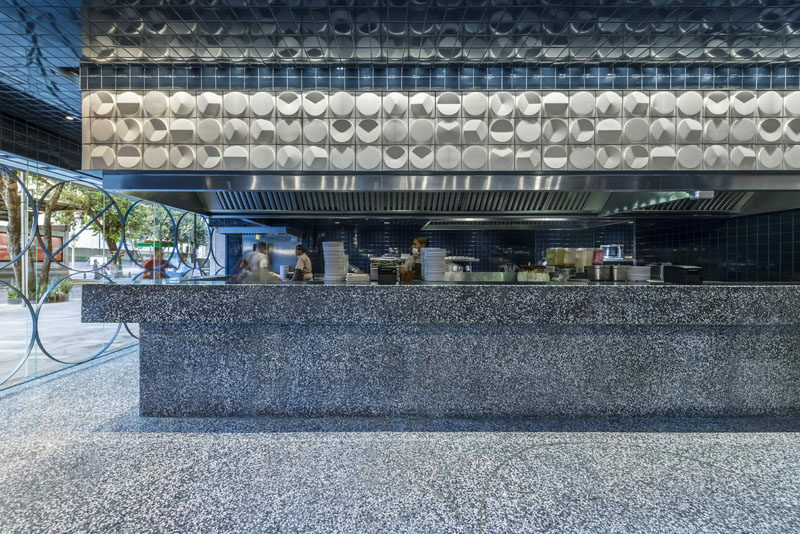 Inspired by the shape of a tortilla and its geometric translation to the circle, as well as in its repetition, partition and variants, the designers created an interior that features a modern interpretation of traditional mosaics found in “taquerías”. Here’s a closer look at the accent wall that features 3-dimensional tiles with the shapes similar to how people use tortillas in their cooking throughout Mexico. The restaurant has an open kitchen that been designed to create a way to bring the diner closer to the traditional “taco bar”. 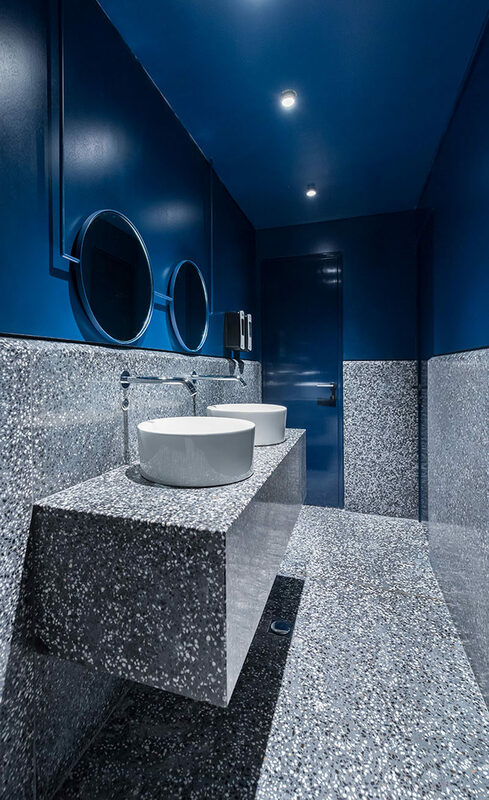 In the bathroom, a dark blue paint has been used to create a drama appearance that ties into the blues used throughout the restaurant.